Remarkable Marketable Me: Stop Hunger Now-end hunger in our lifetime ~ "Never doubt a small group of thoughtful, committed people can change the world. Indeed, it's the only thing that ever has." Stop Hunger Now-end hunger in our lifetime ~ "Never doubt a small group of thoughtful, committed people can change the world. Indeed, it's the only thing that ever has." 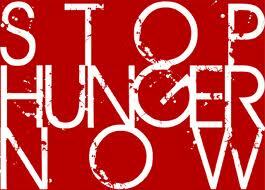 Click on the like above to see the Stop Hunger Now main page! 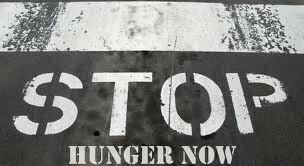 After Stop Hunger Now was brought to my attention, I feel like the society we live in has become selfish. Granted there are those around us that truly have nothing and we pass by them every single day without even a glance towards them anymore. We are stuck in survival mode. Once life started to get tough, we lock down and take care of ourselves and our loved ones. This is not a bad thing; However, how much does it take for one to realize that even though they don't have much, but have enough to survive another day, another week, or even a month. Stop Hunger Now is an international hunger relief agency that has been fulfilling its commitment to end hunger for more than 12 years. Since 1998, the organization has coordinated the distribution of food and other lifesaving aid to children and families in countries all over the world. Stop Hunger Now has provided more than $70 million dollars worth of direct aid and 34 million meals to 72 countries worldwide. Stop Hunger Now created its meal packaging program, in 2005. The program perfected the assembly process that combines rice, soy, dehydrated vegetables and a flavoring mix including 21 essential vitamins and minerals into small meal packets. Each meal costs only 25 cents. The food stores easily, has a shelf-life of five years and transports quickly. Stop Hunger Now works with international partners that ship and distribute the meals in-country. Stop Hunger Now primarily ships its meals to support school feeding programs, but also provides meals to our in-country partners for crisis relief. The packaging operation is mobile, (i.e. it can go wherever volunteers are located), and can be adapted to accommodate as few as 25 and as many as 500 volunteers at a time. One SHN packaging event can result in the packaging of more than 1,000,000 meals or product servings. The use of volunteers for product packaging has resulted in an extremely cost-effective operation while, at the same time, increasing awareness of global hunger and food insecurity issues across a broad cross-section of the US population. Stop Hunger Now's meal packaging program operations throughout the US. Visit our locations page for a list of meal packaging locations. Stop Hunger Now is a Raleigh-based international hunger relief agency that has been fulfilling its commitment to end hunger for 13 years. Since 1998, the organization has coordinated the distribution of food and other lifesaving aid to children and families in countries all over the world. Stop Hunger Now created its meal packaging program in 2005. The program perfected the assembly process that combines rice, soy, dehydrated vegetables and a flavoring mix including 21 essential vitamins and minerals into small meal packets. Each meal costs only 25 cents. The food stores easily, has a shelf-life of five years and transports quickly. 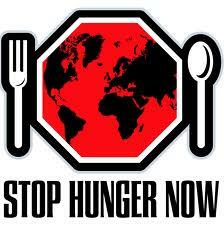 Stop Hunger Now works with international partners that ship and distribute the meals in-country. The majority of Stop Hunger Now's meals supply school lunch programs. Due to the ease of assembly and transport, meals can be shipped to areas in crisis. In 2007, more than 3.5 million meals were assembled. Surpassing projections, another 5.9 million meals were packaged in 2008 and 8.6 million in 2009. Stop Hunger Now had a record breaking year in 2010 by packaging more than 16.4 million meals. 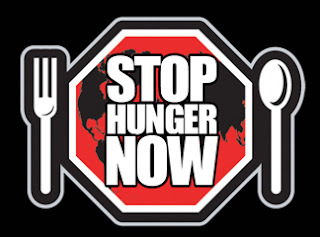 Stop Hunger Now is a 501(c)3 non-governmental relief organization based in Raleigh, NC. It operates meal packaging programs from its locations in Raleigh, Goldsboro and Charlotte, NC. ; Hampton Roads, Richmond and Lynchburg, VA; Jackson, MS; Phoenix, AZ; Philadelphia, PA; Atlanta, GA; and South Africa. To win the fight against hunger, we not only need to provide food and basic necessities to the hungry, but to change the way people think about the problem of hunger. There are many ways that you can get involved in the fight: from surfing the web on your computer to hands-on work packaging meals for the hungry. Take a look at some of the options below, and don't forget that simply telling a friend or family member about the widespread damage caused by hunger is an important part of the fight. By donating to Stop Hunger Now, you are helping to provide emergency food, medicine and life-saving supplies to your brothers and sisters around the world who are in life-threatening crisis situations. Thank you for being part of the solution as we work together to end world hunger. Funds will go to the area with the greatest need. Make a donation in honor or in memory of someone you care about. We will send a thoughtful card acknowledging your gift to the chosen recipient. Members of the Army of Compassion form a sustainable foundation by making a monthly donation to support the fight against hunger. Automatic monthly gifts will provide Stop Hunger Now with the day to day support we need in a way that's more convenient for you. If at anytime you would like to cancel you membership in the Army of Compassion just contact our Administrative Offices at 919-839-0689. If you prefer to make a donation by check or credit card by mail, just download our printable form and fill it out. In 2009, it was estimated that more than 1.02billion people do not have enough to eat - more than the populations of USA, Canada and the European Union combined. That means one in nearly six people do not get enough food to be healthy and lead an active life. Source: World Food Programme, 2010. Out of the 1.02 billion who are hungry, more than 907 million of them live in developing countries. Source: World Food Programme, 2009. 25,000 people (adults and children) die every day from hunger and related causes. In 2007, the number of undernourished people in the world increased by 75 million, primarily due to the increase in food prices. Asia and the Pacific region are home to over half the world’s population and nearly two thirds of the world’s hungry people. 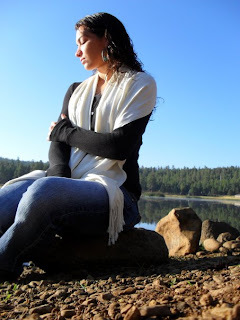 More than 60 percent of chronically hungry people are women. There are about 1 billion people in the world living on less than $1 a day. Roughly 2.6 billion people live on less than $2 per day -which is40% of the world’s population. Almost half the world – over 3 billion people - lives on less than $2.50. Malnutritionremains the world’s most serious health problem and the single biggest contributor to child mortality, more than HIV/AIDS, TB and malaria combined. Nearly one-third of children in the developing world are chronically malnourished. Undernutrition contributes to more than one-half of the 9.7 million deaths of children under five each year in developing countries. This means that one child dies every six seconds from malnutrition and related causes.